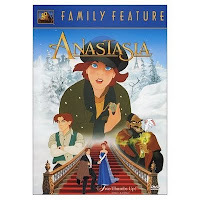 Quest for Camelot and Anastasia are two of my favorite animated movies! Dimitri is one of the cutest animated guys ever, in my opinion. Ooh, I love Harry and Sally (classic), Amanda Peet and Ashton Kutcher in A Lot Like Love (totally underrated RomCom), Gerard Butler and The Swank in P.S. I Love You (I hate the Swank, but I'm obsessed with Gerry. So hot). I have like a million more. This is pretty much the reason I love chick lit and romantic comedies. Oh, I forgot how much I loved the Luke and Lorelei dynamic. I love a good fighting couple! Dimitri was also my favorite because John Cusack did his voice. I adore John Cusack's voice. And I love the 10 Things "sh*t hath hitteth the fan...eth" reference. LOVE all the movies you mentioned, especially Anastacia. 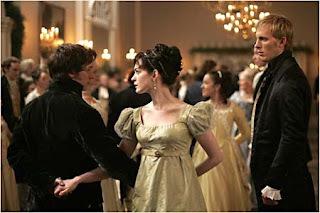 And is it bad that I actually like Becoming Jane more than P&P? 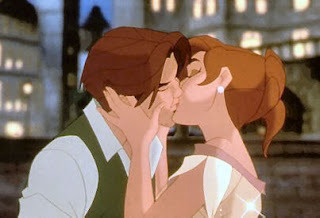 Oh, I love Anastasia. It was my favorite movie when I was little. Great that you used it as a example. GOSH! I love Anastasia, and Jane Austen, and Elizabeth! I love these couples! It's really no wonder why they are so popular and almost a standard for any romantic comedy. But yes, Dimitri is way too good looking for an animated character. Oh yeah I totally have to remind myself that Dimitri is a cartoon! I love quarrelling couples!! I didn't know there was a name for them, but you've expressed it perfectly. The characters in my novel (that shortly I will have a book deal for, fingers crossed that it sells) are a quarelling couple and I ADORE them. So much fun to write. I adore this list! You just made me want to watch every single one of those movies. I loved Quest of Camelot as a kid. I liked Anastasia, and I loved Dimitri!! !